I didn’t pass my fourteenstep this time. I’d been concerned that my dance might not be up to snuff, and two days before the test I asked for a video so I could see for myself how I was doing. On the video I could see the problems coach Ty had been telling me about, things like wimpy leg extensions and lack of power on my progressives. Ty pointed out that I’m still not rising completely on the three turn at the beginning. And I struggle to keep my hips under me in the end pattern. That’s a continuing problem that makes it hard to do the footwork through that section. It was late to change things, but I tried in the last couple of days to focus on power, which solves a lot of problems. My pride wouldn’t let me ask the judges to change my test from “standard” to “adult.” I’d signed up to test at the standard level like the young skaters. My choice, but I’m not ready to switch to the easier adult test level even though I will have to do that sooner or later. 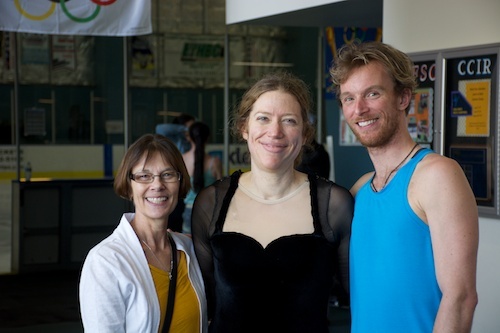 One of my sons noted that it’s odd to have something where the adult level is harder than the youth level, but that’s how it is in skating. If you can’t handle not being as good as a kid you won’t last long. On the morning of the test Ty and I had a really good practice and I started thinking I had a good chance to pass. Ty seemed pleased with where I was at. We stopped our lesson early, wanting to end on a good note and not wear me out. At the test I felt good on our warmup, the ice felt fast and comfortable. I skated a nice big pattern on the test. On the second pass of the end pattern I caught my heel in the ice on the outside mohawk, disrupting the timing. I wasn’t sure what had happened, but figured it had just cost me the test. We went off and I was putting on my jacket when the judges called Ty over to tell him that we could have a re-skate. I didn’t even know that was a possibility on the ice dances. We went out and skated again. By the notes, the judges liked that skate better, not enough to pass me though. Technique: 3.0 Not all steps are clear esp. through the end pattern. Reskate: better. Timing/expression: 3.0 Off time on 2nd end pattern. Work on expression. Reskate: timing good. Judge 2’s comments were hard to decipher. 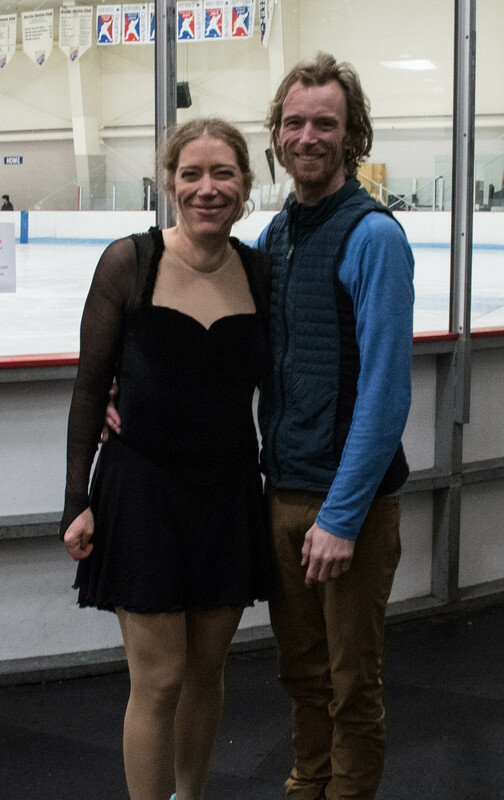 Since this is the cozy little world of figure skating I was able to clarify them with her at the rink (I skate with two out of the three judges). Among other things, she wants to see a tighter cross-behind. The foot that comes in on the cross-behind is supposed to go alongside the skating foot, not just beside the heel. I realize that but can’t yet do it consistently at speed. Technique: 2.8 Really nice extension on intro steps. (Need) more ice coverage. Need deeper edges. More precise cross-behind (third pattern much better). Timing/expression: 3.0 Timing on third pattern much better. Technique: 2.8 3rd pattern incomplete. Some difficulty with control on 12-13 (that’s the progressive on the end pattern) and 8-9 (the cross-behind) needs to be tighter. Re-skate better on 12-13, not 8-9. Timing/expression 2.9 Timing generally OK. Movements should be crisper throughout, particularly progressives. The judges’ comments have enough consistency to give me a good idea of what to concentrate on as I keep working on this dance. That’s a positive from testing, as well as the fact that I improved the dance in the crunch time before the test. And I enjoyed skating the dance in practice that day, and somewhat on the test, too. We’re finally getting better power because I knew the test demanded it and tried harder. 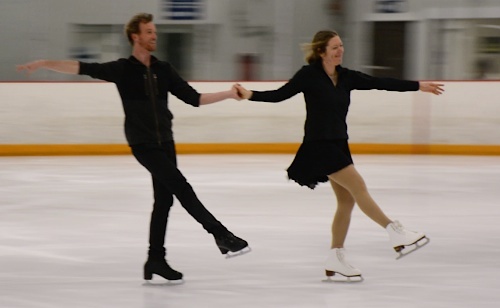 Power is what makes these dances fun, skating fast and getting on nice big leans with your partner. So overall I don’t really mind continuing to work on this dance. Only thing, though, I’m going to have to switch music lest I drive my co-skaters insane with its perky piccolo. Makes a good earworm though. Ten Fox Bronze Ice Dance Test Testing my last bronze dance, the Ten Fox. Adult Gold Moves– Passed! Finally re-tested and passed my Adult Gold Moves in the Field test! Mary, it’s so great that you gave this a shot (considering you haven’t been back on the ice for all that long, that’s pretty cool!) The 14-step is a tough one at the standard-level; it’s a faster tempo and there’s a couple of rather dramatic partnering changes that demand quite a bit of control. I think that end pattern is especially tricky in partner position with that step forward cross behind. And they want to see power, soft knees, and staying on the beat. Seems from the comments, though, that the judges saw a lot of good things out there (timing, expression all were marked good). Sometimes I think judges have higher standards for folks that they know will continue to improve. So next time for sure will be better! let us know if you find some non-piccolo music! It is tough, but I’ve been working on it for a couple of years now. The end pattern positioning is hard. I’ve been trying to get that hips close, faces away from each other position but need to keep working on it. Ty says that other people at my level have problems with that too. Staying on the beat is in general not one of my problems since I played a couple of instruments– do we have that in common? But in particular in the fourteenstep it can be hard because of the tempo. It’s true that no one complained about my timing except on that one muffed end pattern, so that’s good. I play the clarinet and some piano, so I am pretty good at hearing where the beat ought to be–but hearing and keeping up with the music are two different things! That march tempo on the 14-step is a doozy! Exactly the same as me (instrument-wise)! Yes keeping up with that dance takes some practice, and it’s a a good aerobic workout too! Mary: Ditto Jo’s comments. I admire your decision to test via the standard track. I’m shameless enough that I plan to test at the master’s level–but only if there’s not another level even less rigorous! Thanks George! I think this might be the last level that I try standard. 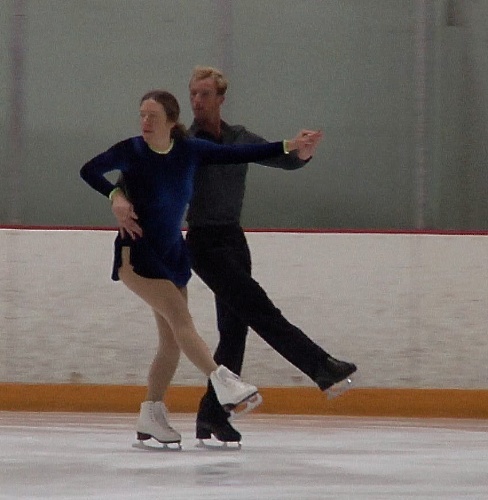 On the standard silver dances you have to solo each dance during the test as well as skating it partnered. If you take them at the adult level you don’t have to solo. Mary, sending you hugs and kudos for testing so soon after surgery. You were very brave! 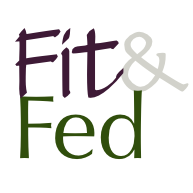 Ditto on all the comments from Jo and George. I know you’ll get this. If I ever test any more dances, I am going for Masters – so even more kudos to you for testing standard track! I don’t know much about 14-step other than that 8 of the steps are similar (same?) to the 8-step mohawk pattern which is really, really hard. I can’t even imagine doing that partnered! Hope you can retry this soon as it looks like you are very, very close to passing. Thanks Melissa! Yes it is very similar to that eight-step mohawk. It did freak me out at first to do that end pattern partnered, I hated having our feet close together like that. Now I am used to it. I’ve been working on the juvenile moves for the last couple years and put a lot of time into improving that pattern. And yet I still muffed on of the mohawks on my test. It’s a hard one for me! I need to rise more on the skating leg before bringing in the free leg for the mohawk. No more digging my free foot blade into the ice! Also I need to get my feet closer together before the mohawk. My coach will be gone for the summer so we might need to wait for fall unless I can get this ready in the next month. Wow – kudos to you for testing standard track. That is a hard dance, so I give you lots of props for putting your test out there. And it sounds super encouraging – you are so close to passing it (at STANDARD level!!!). Keep up the great work – I’ll know you’ll get it next time! Thanks for the encouraging words, Eva! I’m so in awe of you! Ice skating is so beautiful and graceful. Good job even though you didn’t pass. You’ll get it next time!! Thanks Rachel, I certainly hope so! I’m sorry you didn’t pass but I don’t have to tell you what sticklers the judges are at this level. You already know the key to getting all the moves and swings is confidence and power. I’m betting you’ll pass next time! Marcia recently posted..Health Update: Are You Even Methylating? You’re so right, Marcia, and it’s nice to have a skating coach’s perspective here! I’m in awe of anyone who can do those moves–skating is so precise and specific! The amazing thing is how easy the skaters make it look! It takes a lot of work to make it look easy! I always think about that when I’m at the gym, how you’re allowed to grimace or whatever when you’re doing something hard at the gym. But on the ice you have to smile! Wow! This is absolutely amazing! I’m sorry you didn’t’ pass, but it’s amazing that you can even stay upright on skates. I would be hugging the wall (or my partner) for dear life. I’m glad you have some great notes to follow, and I know you will pass in no time. Keep up the great work! Thanks Jenn! I hope we both have lots of learning experiences left in our sports! Kudos to you! I wish I could ice skate. It’s such a beautiful sport. Kimberly G recently posted..Running Quotes to Motivate You! Thanks Kim! Adults can learn to skate, I know many who have! It’s great that you can learn from the judges’ comments. I know when you pass it will be that much sweeter of an accomplishment. True. When I passed my gold moves after getting a re-try the first time it did make it sweeter, especially seeing better comments from one of the judges who had been at my first test, too. I skated some as a kid, but not competitively. It’s always a joy to watch someone ELSE do it, though LOL It’s so graceful! I too skated as a kid but not competitively. I also love to watch skating. Last night I was at Stars on Ice! So sorry you didn’t pass your test but I admire what you are able to do!! I’m sure you will pass next time! Thanks Katie! If I put in the time and effort to improve I can certainly test again. I’m sorry you didn’t pass your test, but wow you are still amazing. Thanks Toni. I do love to skate and skating itself is amazing. I loved helping my children learn to skate. Enjoy the time on ice with your kids! I’m sorry to hear that you didn’t pass your test, but you don’t seem to be letting it bring you down. Here’s to getting it next time!